Stress Weight Gain is a Byproduct of Stress! Stress weight gain is a byproduct of stress. Stress is a trigger for emotional eating. The more stressed you are, the more you will emotionally eat and your weight will go up. Have you noticed that as stress increases in your life that your weight goes up, especially weight gain around your middle? 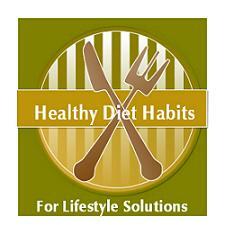 You wonder what is going on because you are practicing healthy diet habits. Many of you are more on top of healthy eating than paid nutritionists. You know what to eat. What is going on? What you eat is a small part of the weight equation. It is the other factors that influence "how you eat" that you need to learn about. Get less than 7 hours of sleep a night and lack of sleep is tied to weight gain. Sleep deprivation causes increased levels of the stress hormone cortisol, which causes weight gain around your tummy. Skip meals because you are too busy to eat and skipping meals causes weight gain. People who skip breakfast eat more calories later in the day. More calories lead to weight gain! Eat at fast food because you do not have time to make healthy meals at home. Each fast food meal adds extra calories to your diet and weight gain. Drink more caffeine products to wake you up. Have increased levels of the stress hormone, cortisol and this causes you to gain weight around your tummy, even though you did not change eating habits! Have less time to add stress busting activities to your life like relaxation, yoga, massage, or an activity that you enjoy. Eat when you are not hungry because this relieves your stress. Seek out your comfort foods like cookies, chips and candy to relieve cortisol cravings from stress. Eliminate exercise, because of lack of time and tiredness. Eat emotionally to relieve stress. Any of these unhealthy diet habits can lead to weight gain, but there is a biological reason that stress leads to weight gain too. Both stress, and sleep deprivation stimulate your adrenal glands to produce the stress hormone called Cortisol. Cortisol can lead to inflammation in your body and also cause leptin resistance where your body does not recognize the appetite suppressing hormone called leptin. Your hunger is not satisfied and you eat a greater amount. Cortisol causes cravings also. You crave foods that are high in fat, sugar, and salt. The most common comfort foods for women are ice cream, cookies, and chocolate! These foods lower the release of cortisol in your body and increase serotonin (a feel good hormone). Eating comfort foods is a way to relieve stress, but not a positive way in the long term because it leads to weight gain. Cortisol causes fat cells to grow, and increases belly fat also. (The process is more complicated, but you get the idea of what is going on!!) Stress leads to stress weight gain! It is important to find and practice Lifestyle Solutions to relieve stress in your life to keep stress and stress weight gain under control! See my tips on Overcoming Stress Weight Gain!